Barcelona Open Final: What time does Rafael Nadal play against Kei Nishikori? Rafael Nadal will face Kei Nishikori in Sunday’s Barcelona Open final. It will be the 10th meeting between them and Rafa leads 8-1. Bidding for an unprecedented 9th victory on home soil, Rafa is hoping to lift his first trophy in 3 years, adding to crowns in 2005-’09 and 2011-’13 at the Real Club Tenis Barcelona-1899. Match time: 5.30 PM local time / 10 AM EDT – New York, Montreal / 4.30 PM BST – United Kingdom / 5.30 PM CET – Spain, France, Germany, Italy / Monday, 1.30 AM AEST – Melbourne. To convert to your local time, use this website. Tomorrow I will play against one of the world’s best players and it will be complicated. I have to play a great match to win the final. Should Rafa prevail tomorrow, he would earn a record-tying 49th career clay-court crown, pulling level with Guillermo Vilas. CONGRATULATIONS Rafa! I hope your confidence is boiling over. Let us hope that our Cham cuts down on his errors. More practice for RG at the Madrid and Rome Opens. May you win them all. Great win for Rafa today against a worthy opponent, Kei. Hats off to both for a very entertaining match. 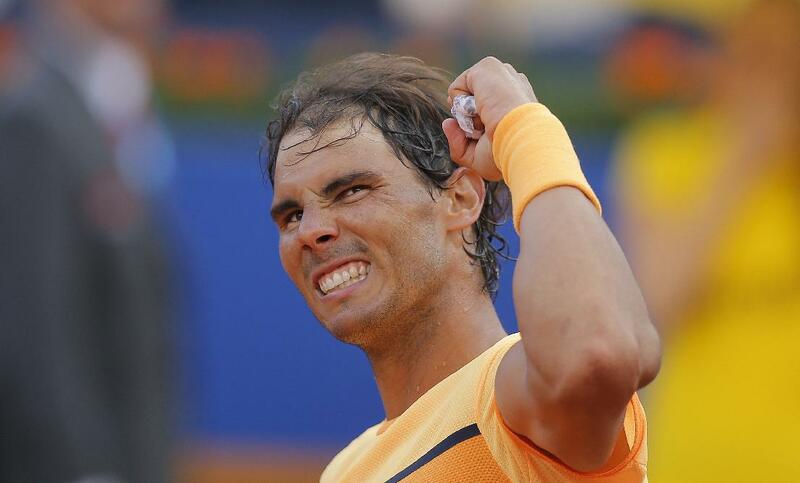 Rafa made some mental errors in the second set, especially at 4-2, 15-30. He didn’t lose focus or self-belief though, and pulled out a great win by breaking at 6-5 in the 2nd. Vamos! VAMOSSSS! What a see-saw battle, but amazing win for our champion Rafa at the end. Rafael Nadal you have to win this match. Previously nobody could defeat you so now keep up that spirit and progress. You have millions of fans on your side wishing you best of luck & giving you all the possible blessings . Good luck for the final. You can do it. Vamos Rafa!!! You are the best. No one can come to your level . You have to win this year.